With a spring in our step and spring in the air, we're all just about ready for what the new season brings to Melbourne. As always, the cultural capital of Australia does not disappoint. There's an enticing selection of live shows to tempt families into theatres this September and October. From live Shakespeare to circus, ballet to a 'horrible histories', a hilarious kid's tale bought to life on stage to musical theatre, here are 7 fabulous family friendly shows to enjoy in Melbourne this July. 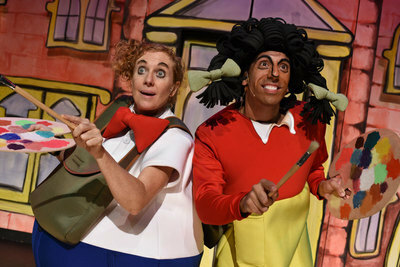 The stage performance Horrible Harriet, based on the hilarious kid's book by Leigh Hobbs, is currently on tour around Australia and arrives in Melbourne this September. Join Harriet's search for identity and friendship, with songs, laughs and mischievous fun, live on stage. Age recommendation 4 years plus. 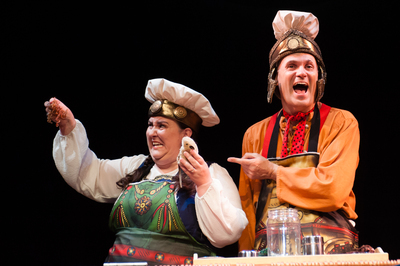 Live Nation brings Horrible Histories to the stage this September. Are you ready to meet the most famous, infamous and dangerous characters in British history? Play-loving kids who live behind a junkyard in a exhilarating new show from Australia’s world-famous national youth circus the Flying Fruit Fly Circus. 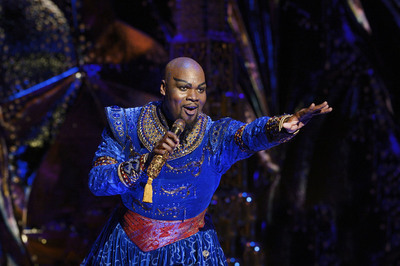 You can enter the 'Aladdin Digital Lottery" every Wednesday for performances two weeks in advance, for a chance to score seats for just $50. Worth a try! 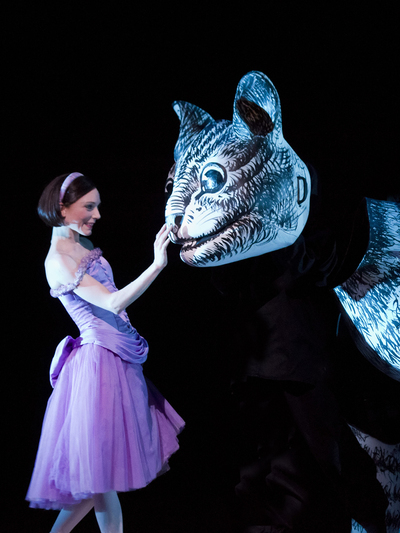 Fall down the rabbit hole with the Australian Ballet in this dazzling international extravaganza performing at the Arts Centre Melbourne. 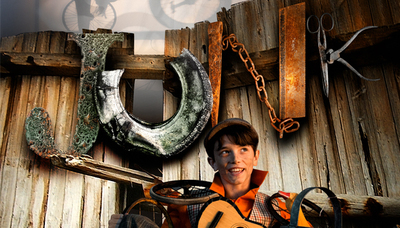 Suitable for older children (10 years plus): duration 175 minutes and two intervals. Introduce your kids to Shakespeare in a very special theatre that will quite literally 'pop-up' in Melbourne this spring. 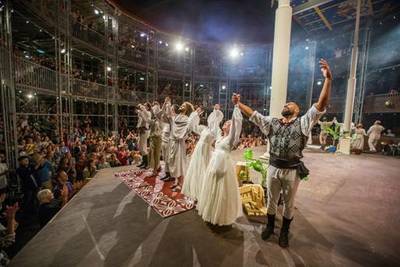 Enjoy live Shakespeare Pop-up Globe in the Gardens next to the Sidney Myer Music Bowl over a period of six weeks this spring. Tickets now on sale. Hold onto your seats and your children, as you take an extraordinary global race through raging typhoons and escape runaway trains & stampeding elephants with Phileas Fogg in Around the World in 80 Days. 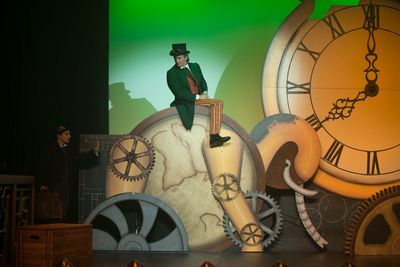 This on-stage version of the whimsical tale Around the World in 80 Days is adapted from the original book by French writer Jules Verne, published in 1873. Performing for just one show at Frankston Arts Centre on Friday 22 September at 8pm. When: Friday 22 September, 8pm. Also a special mention for the Melbourne Fringe Festival, offering not just one, but many affordable live shows for families this spring. Also a family friendly event organised by the Australian Ballet offering ballet fans (6 years plus) a special peek into the daily lives of a dancer. Watch as they take class on stage and fine-tune their technique in preparation for a performance. Tickets just $5 for groups of 10 or more, $19 for single tickets. See Behind the Scenes for more.